This year we decided to check out Switzerland. 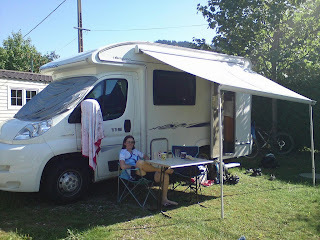 Armed with the lonely Planet guide we worked out our route from Morzine. 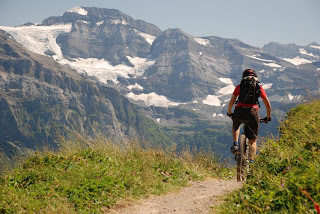 We had always wanted to see the Eiger and the Matterhorn so the trip was planned around this as well as taking into consideration great biking, walking, the odd scary via ferrata and spectacular views! 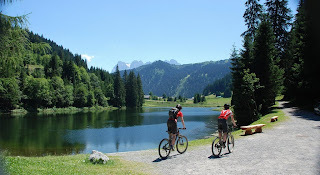 We decided to spend a week at the campsite Les Marmottes in the Portes du Soleil. 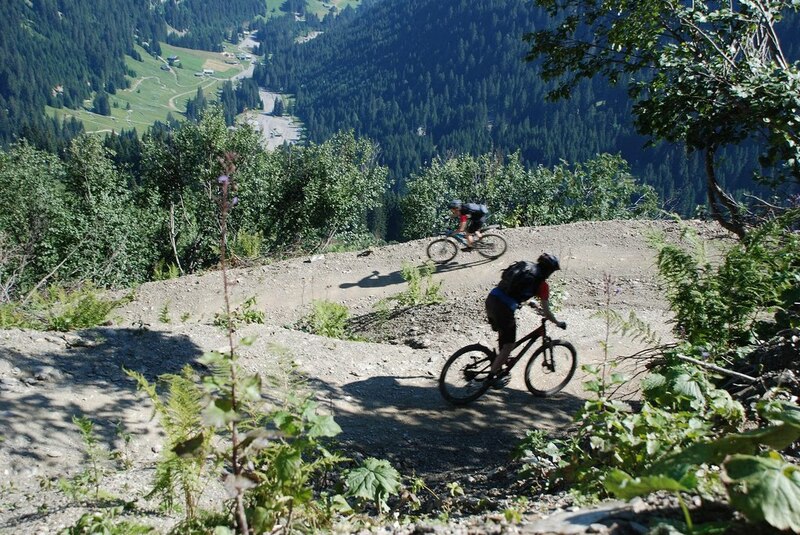 The biking here just draws you back each year. 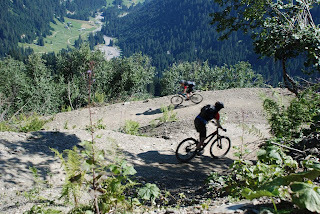 The campsite is fantastic and feels like home away from home with the ski and biking holidays each year. We rode a mixture of trails every day and the weather was spectacular. 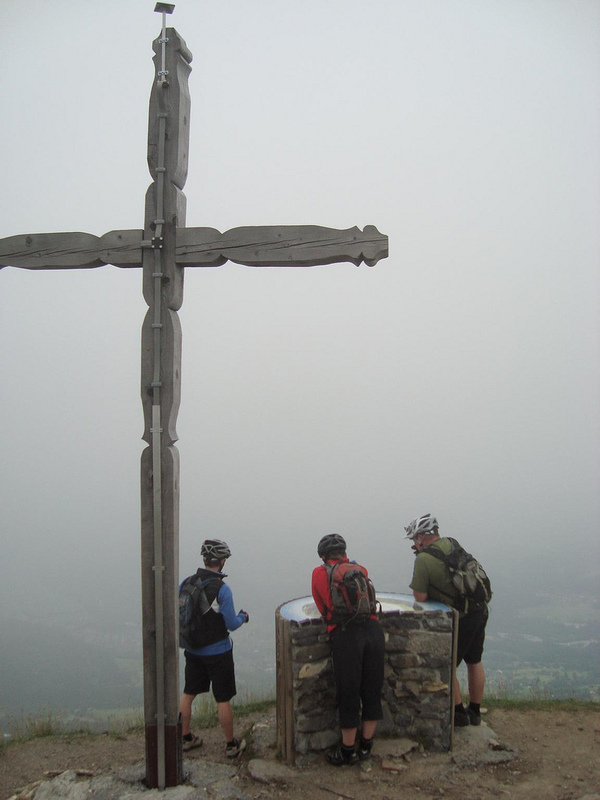 The routes included trips to Samoen the passportes circuit and numerous Swiss side visits. The biking is suitable for all in the Portes du Soleil. 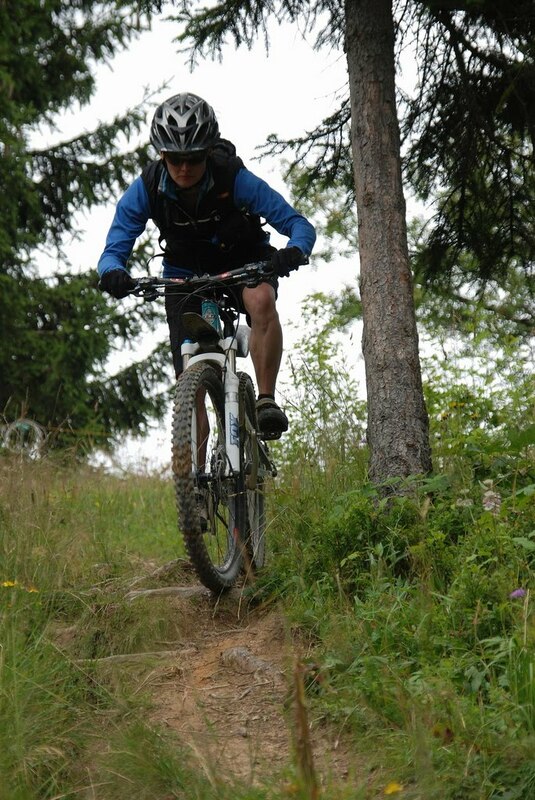 We have been biking in this area for the past 4 years and new trails are always on the menu. It does help when you know fellow bikers in the area. We met up with Catherine from Ambleside for the week. So good is the biking we spent on average 7 hours a day on our bikes. 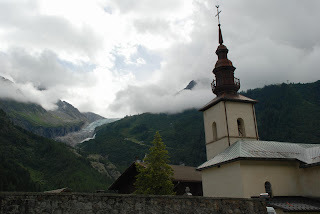 On the last day of trip in Morzine we decided to visit Chamonix and walk to the Argentiere glacier. 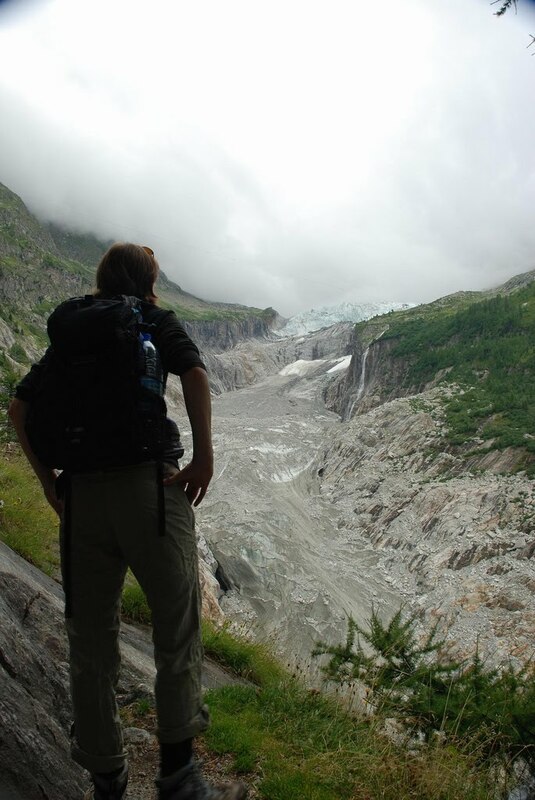 The walk from Argentiere was very pleasant and the view up the glacier was great and an ideal lunch spot. Having walked around the shops and amazed at the views of Mont Blanc it was time to pack up the motorhome and head for Lauterbrunnen in Switzerland to check out the Eiger. The weather was dull and wet when we arrived. 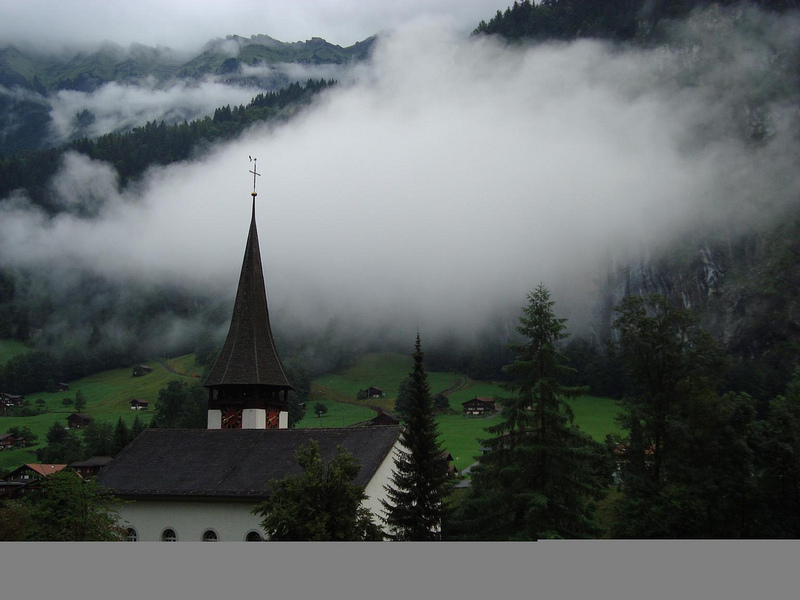 We had a choice of campsites either at Grindelwald or Lauterbrunnen. We decided to go for Camping Jungfrau. 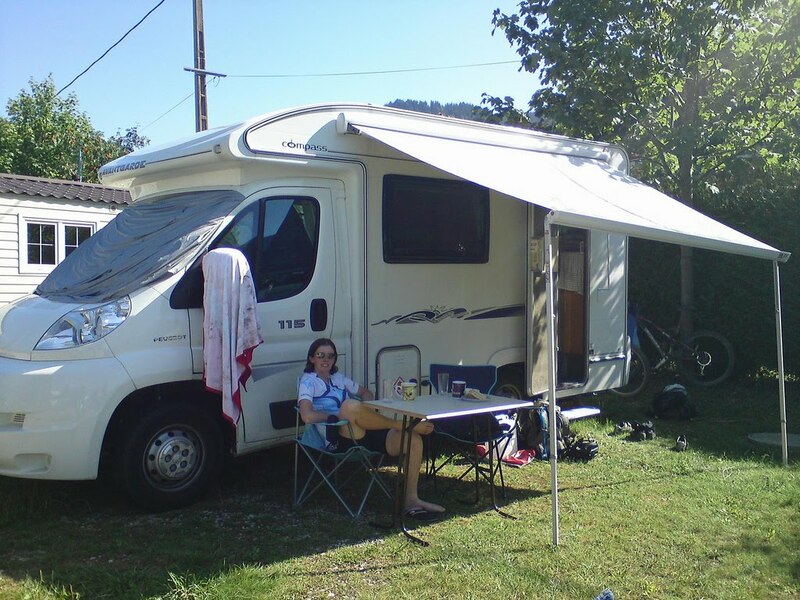 It was a big campsite and busy but lots of room for everyone! The facilities were fantastic and it was a convenient walk to the Lauterbrunnen train station. The great thing about this area was that you did not have to drive you could take a train or cable car. The only problem with that was it was very expensive. The weather was supposed to improve through the week so we decided to take the Lonely Planets advice and walk the Faulhornweg trail. 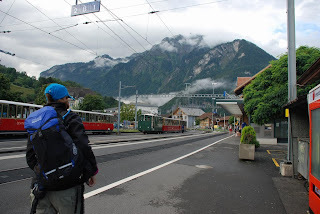 First we had to catch the train from Lauterbrunnen to a cute little station called Wilderswil. Here we caught narrow gauge cog railway to Schynige Platte. The cloud was in but at times it cleared and the views were spectacular including view to Lake Thun and Lake Brienz. The walk itself was 15km along a high level panaramic trail. There was plenty to keep you occupied. It finished at the top of the cable car station in First. Descending to Grindelwald bought back the many memories of reading Joe Simpsons book The Beckoning Silence. We had had glimpses of the grand vista but wanted the cloud to life to reveal all! 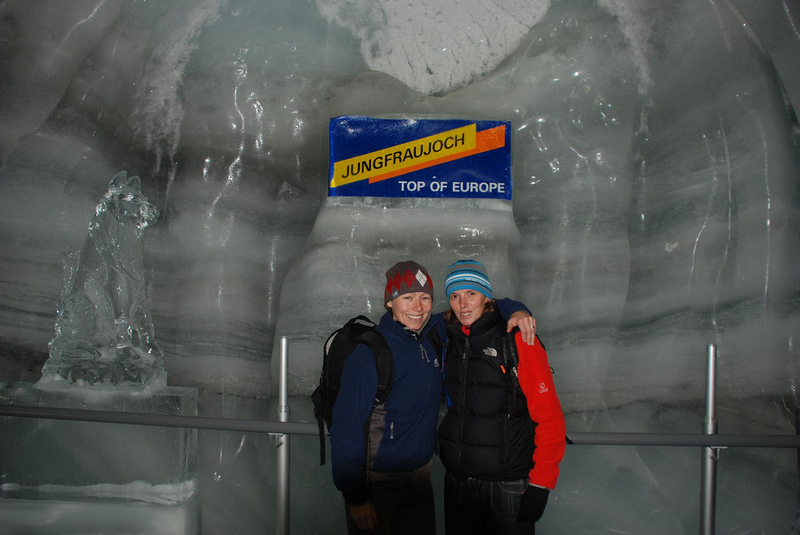 We caught the train back to Lauterbrunnen feeling really optimitic about tomorrow and the Jungfraujoch. The weather soon cleared in the evening and the view from the motorhome was great! 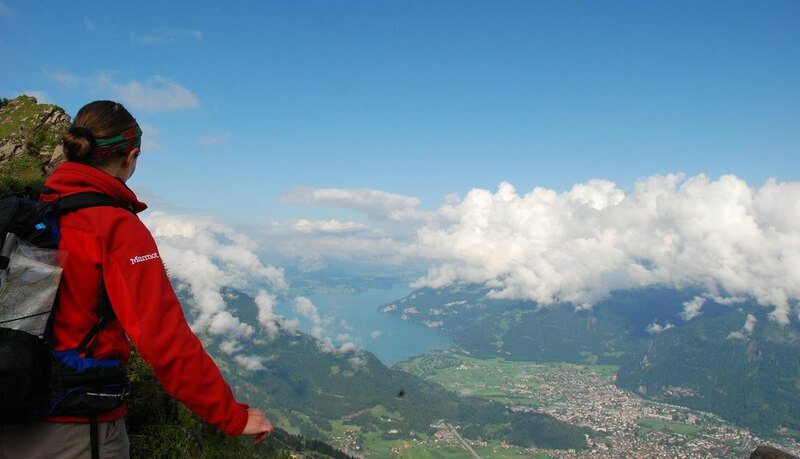 We decided to do the tourist thing and take the train to the top of Europe! This was a 2 1/2 hour train ride to the Sphinx, a mountain refuge with a difference! The trip took us from Lauterbrunnen to Kleine Scheidegg the station where the railway tracks from Grindelwald and Lauterbrunnen meet. It was a quaint little place that thrieved on the millions of tourists each year. 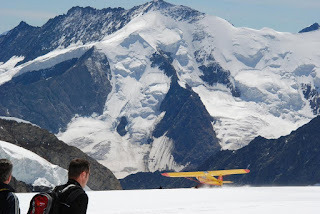 Although busy it did not feel too overpowering, how could it surrounded by so many 4000m giants! 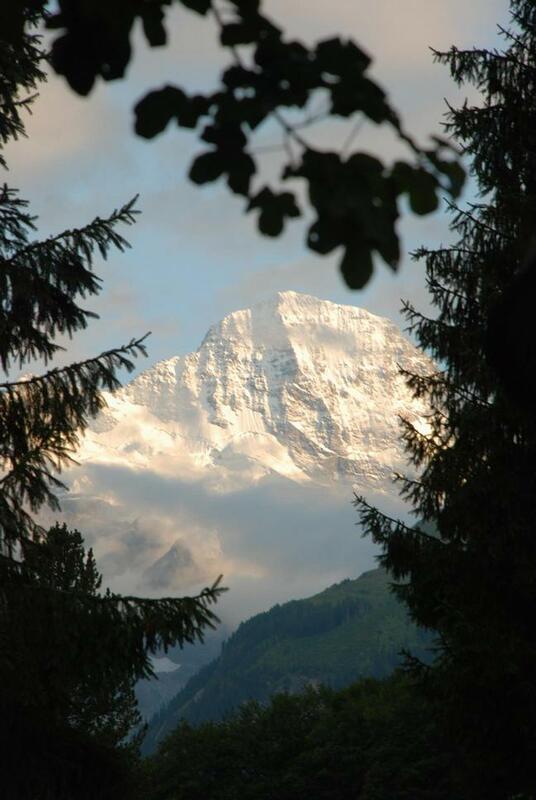 As we approached the station there it was the Eiger in all its glory! 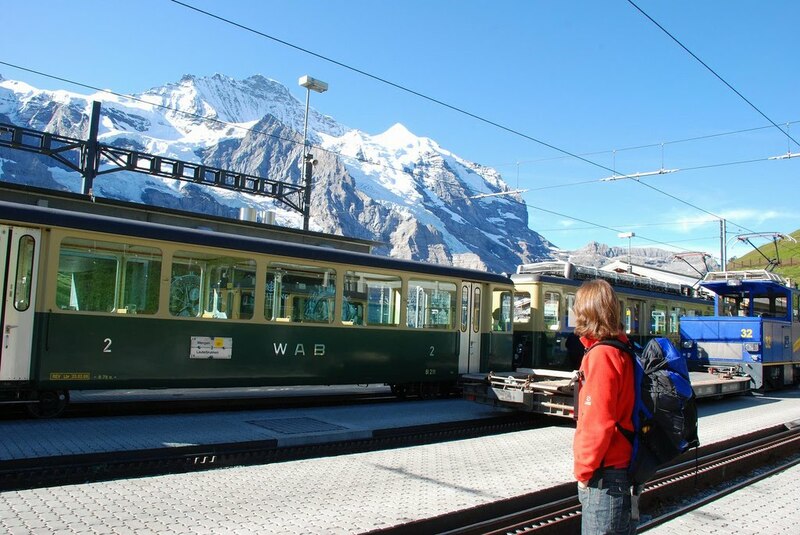 We boarded another train which took us into the Eiger. 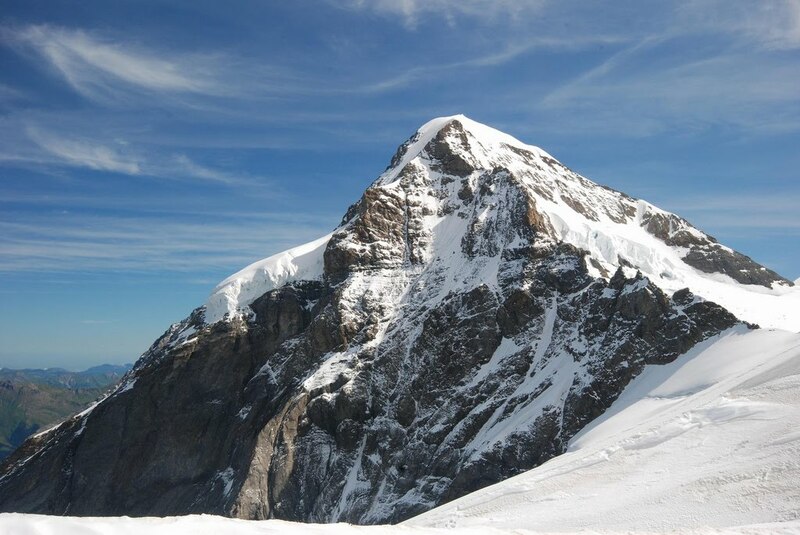 The great thing about this was that the train stopped at points in the Eiger and it was possible to see down the infamous North Wall ! 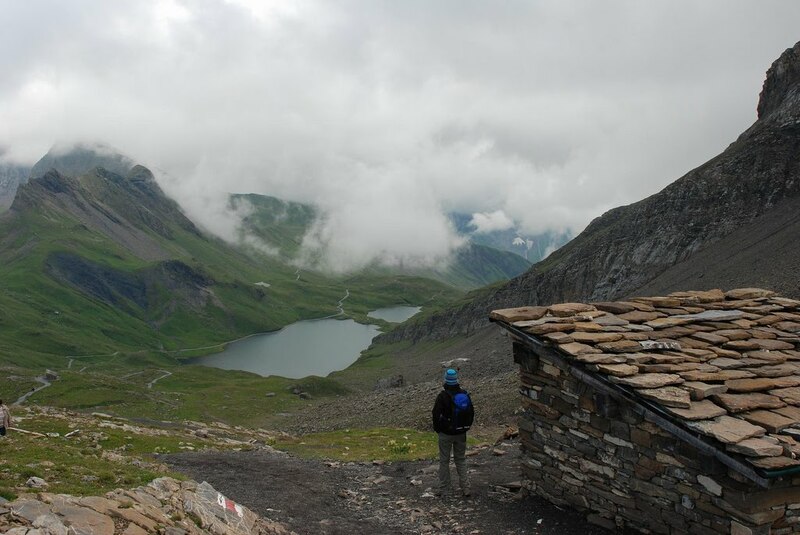 When at the top you had a great view of the Monch, Jungfrau and the Aletsch glacier. After the initial photo frenzy of snow capped mountains we decided to visit the Ice Palace. The floor, roof and walls were all made of ice, decorated with ice sculptures and lights. It was certainly worth a visit! Back outside we took a walk along the glacier to the nearest hut for a well earned coffee. It was interesting to watch the weary climbers coming back safe and sound! 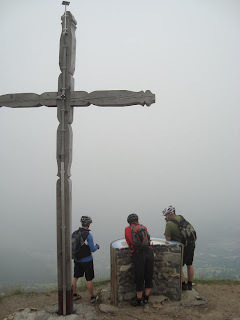 There were other ways of seeing the view also! 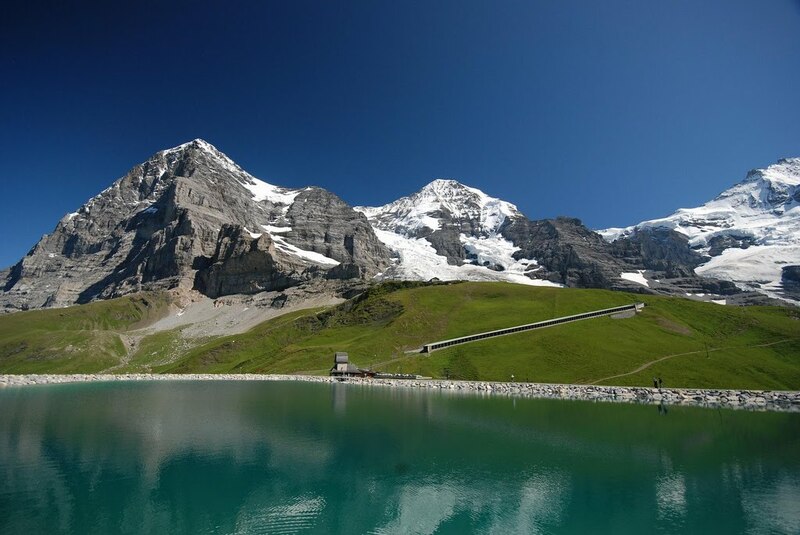 Back at the mid station in Kleine Scheidegg we decided to take a walk to the nicely placed and a great view of the Eiger. 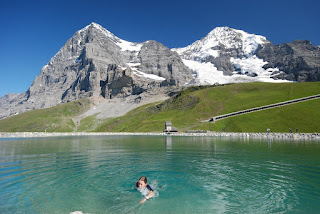 I decided that it was too good an opportunity to miss a swim below the Eiger! After drying off we made our way back down the mountain passed the car free town of Wengen to Lauterbrunnen. A great day and worth the £100 train ticket !